Big History, the field that studies the entire known past of our universe to give context to human existence, has so far been the domain of historians. Geologist Walter Alvarez-best known for his Impact Theory explaining dinosaur extinction-makes a compelling case for a new, science-first approach to Big History. He brings a scientist's view to the human story, from the creation of our universe and our planet, the rise of life, the movement of our continents and its effect on human migration, to humanity's ascendance due to our mastery of Earth's natural resources. 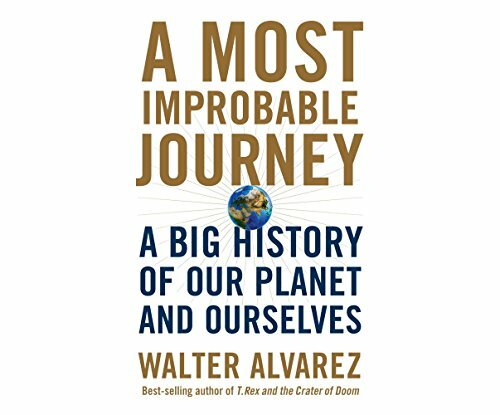 Alvarez's illuminating observations will give readers a new appreciation of the events, from the Big Bang to the Bronze Age and beyond, that have led to the human situation. Evocative Alvarez [enables] readers to experience the power of Big History." Evocative...Alvarez [enables] readers to experience the power of Big History. [Alvarez] revels in the unlikely reality of life on Earth . . . enabling readers to experience the power of Big History.